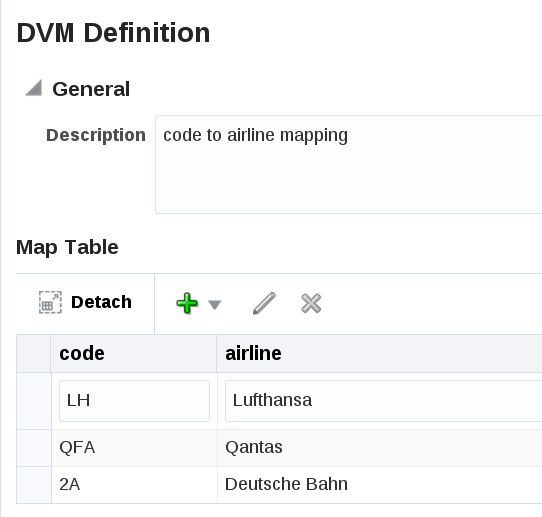 Other people have written and explained the usage of Domain Value Maps (DVMs) in Oracle Service Bus already: They can be generated easily within JDeveloper and shared with SCA components of SOA Suite. Previously SOA Composer could be used to modify them. Here is quick tip: You can now change (or even create!) them within service bus console easily at runtime. So open your service bus console, e.g. from http://localhost:7101/servicebus. Note that the previous /sbconsole is now /servicebus and comes with a fresh look. The old URL is still working but deprecated and should not be used anymore. Btw there were other XQuery based approaches that also allowed DVM to be used and changed at runtime, but the built-in DVMs are easiest and most convenient. 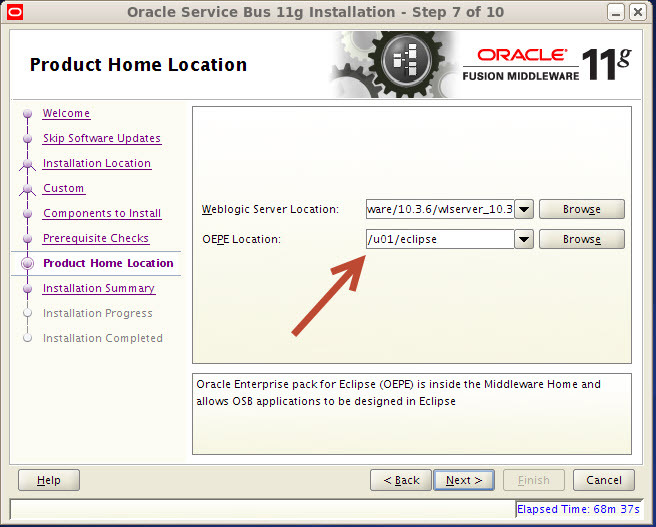 If you are installing Oracle Service Bus (OSB) 11.1.1.7 – which is the newest version as of this writing – based on WebLogic 10.3.6 you are required to use the Oracle Enterprise Pack for Eclipse (OEPE) 11.1.1.8 (supported with Java 6). 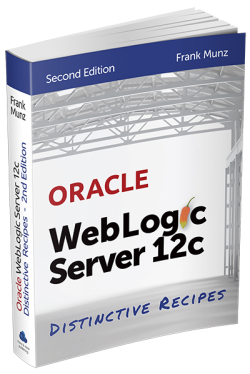 Note that OSB 11g won’t run on WLS 12c. Although WLS 10.3.6 supports JDK 7, at the end I decided to run my WLS installation on the same JDK 6 version used for the OEPE IDE. Typically matching OSB, WLS and OEPE versions is a no-brainer when downloading the bundle that contains WebLogic with Eclipse and OEPE for a particular 32-bit environment. The real fun starts with systems running 64-bit JVMs. The important thing to understand about the OEPE download is that it contains already ORACLE enterprise funtionality but not the OSB functionality. Still there exists no separate OSB plugin. 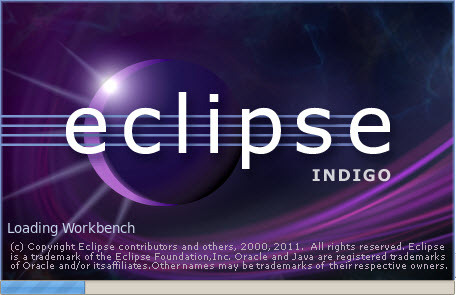 When running the OSB installer after the WLS installation, you specify the directory containing Eclipse with OEPE and the functionality will be added. 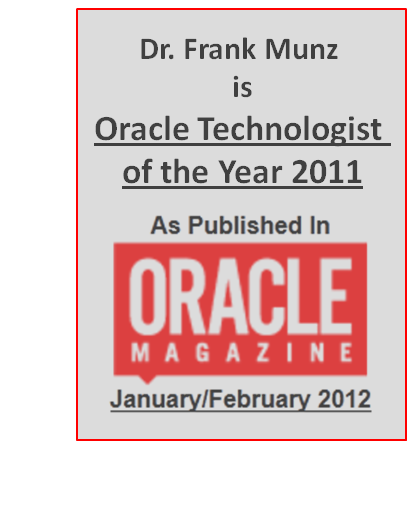 This is the location where you would get an error message telling you that you are using the wrong version of OEPE. If you version matches, OEPE will be updated for OSB functionality. A good summary for other matching versions of previous product releases can be found in this OTN posting. 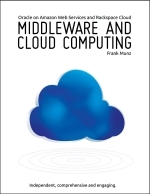 An interesting question popped up on my Oracle Middleware and Cloud Computing book site which I like to answer here for the benefits of all the others puzzling at similar integration questions. In the context of using JMS as an integration technology I’d like to summarize the usage scenarios for Oracle WebLogic JMS Store-and-Forward and JMS-bridges (both are included in WebLogic server). – Amazon’s SQS is not restricted to be only used from AWS instances. SQS is purely based on web services (or language bindings that encapsulate those WS calls) so you can use it from any computer. E.g. you can read or write to SQS queues from remote. – WLS Store-and-Forward (SAF) can only couple WLS instances of the same version and does not bridge to other JMS providers. You cannot use SAF to transfer from WLS JMS to IBM MQSeries (or whatever Websphere might use). JMS is a pretty bad integration technology which requires to have the right messaging classes in your classpath. E.g. when writing messages from Websphere to a WebLogic JMS queue you are required to have the WLS JMS classes in Websphere classpath. – You can use the WebLogic’s JMS bridge to solve the somehow messy classpath issues. WLS JMS bridge has to be deployed as JCA adapter (still the jar file from the other provider is required but it is not used in custom code). The bridge will automatically forward from e.g. WLS JMS to MQSeries and even supports transcations. However there is no support to bridge between WLS JMS and AWS SQS.